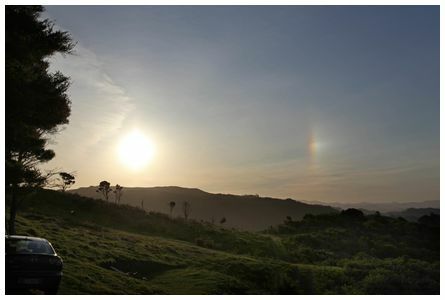 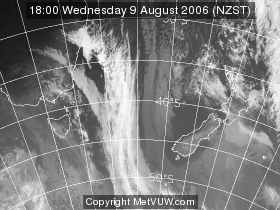 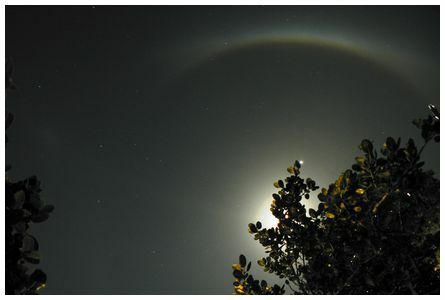 A halo and sundog over the Coromandel ranges at 17:56 on 23 October 2010. 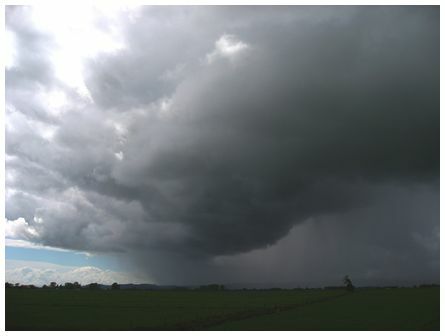 'It was bone dry and no wind when it appeared for 10-15 minutes' wrote Alan. 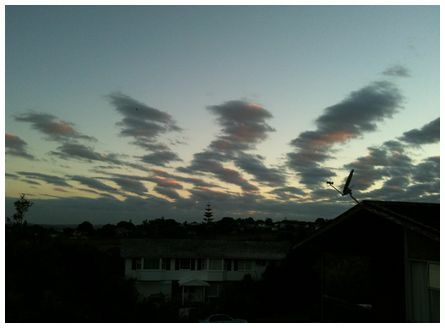 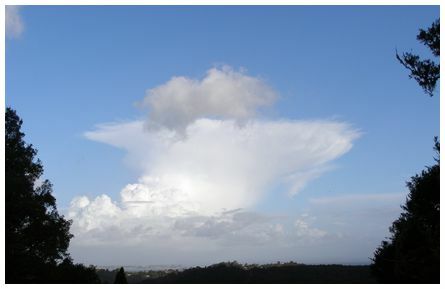 'This was taken in the Waitakere Ranges at 19:25 on 21 January 2010, looking east over the Manukau Harbour after a hot humid unsettled day with occasional very heavy showers' wrote Rebecca. 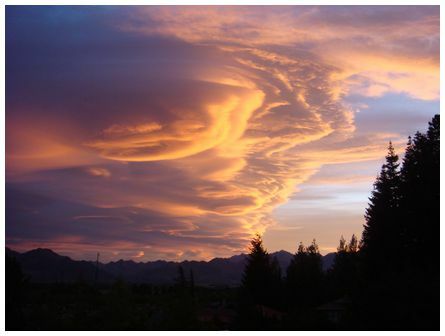 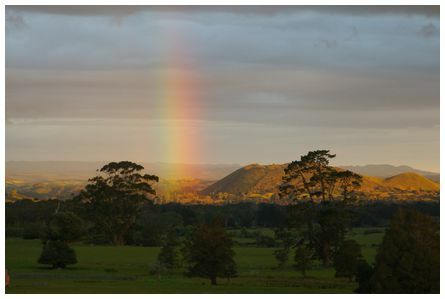 'Photo taken at 19:00 on 13 November 2010, vertical rainbow over the farm and pink evening clouds' wrote Ulrike.